Ever had a hunch that something was going to happen, and it did? Many lottery winners have the same feeling about winning their favourite game, and go on to fulfil their hunch with a win. 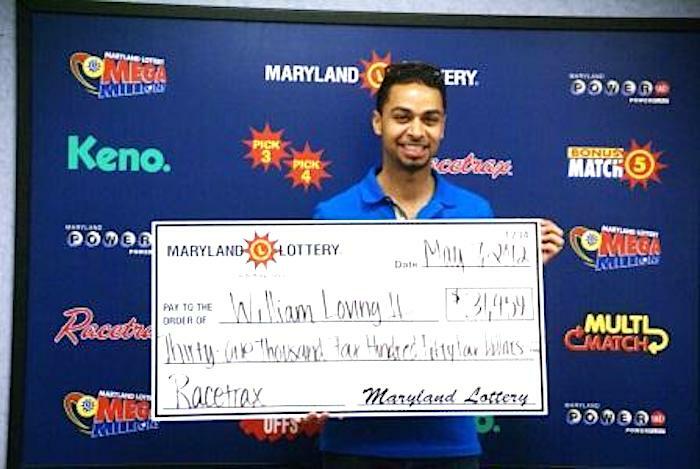 ABOVE: William Loving II, a 28-year-old Washington, D.C. resident is only an occasional lottery player, but on April 12th, he had a “weird feeling.” That strange intuition coupled with his wife feeling under the weather meant he spent the money they would have used for a restaurant dinner on a Maryland Lottery game, winning him nearly $32,000. Andrick Humphreys said he had a “small hunch” that he was going to win. He needed money to pay for the college degree that he will receive in December. 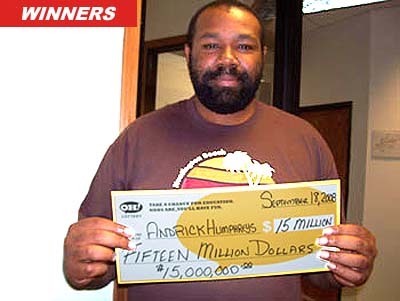 Humphreys’ small hunch led to winning $15,000,000 in the Sept 16 Mega Millions draw. A young couple from Nottingham have admitted to feeling it was their ‘lucky day’ when they bought a winning EuroMillions ticket worth £45 million (US$69.8 million). Just days before a Canada Lotto Max $50-million lottery draw, Eugenius Borek had a dream that he had a wheelbarrow full of money. Borek has been a delivery truck driver for Ontario Bread for the last twenty years working with his two close friends, Wlodzimierz Konieczny and Zdzislaw Modlinski, who are also immigrants from Poland. Laid off since May, Riley Gunn was driving his wife and three kids to their one-room cabin when he stopped to buy corndogs — a guilty pleasure they normally don't indulge - and some Oregan Lottery tickets. He felt sure he would win — and he did. His $16 investment brought a $1 million prize. Call it a hunch, a feeling, a premonition... whatever the name - if you have a strong feeling that you're going to win this week, then play it!